Learn how to lead small classes for more money and a deeper impact. Learn a simple approach to make small classes deeper for students (and more profitable for you). In this course, you’ll get important principles, as well as easy implementation steps to make more money from small classes! This is great for teachers who like to offer “high touch” classes or who would like to do “semi-private” classes of small numbers (about 2-8 people). Get specific details for creating, planning, and promoting your High-Touch Yoga class, including understanding how to invite students so that they will be excited about the opportunity to pay more money for your extra attention. 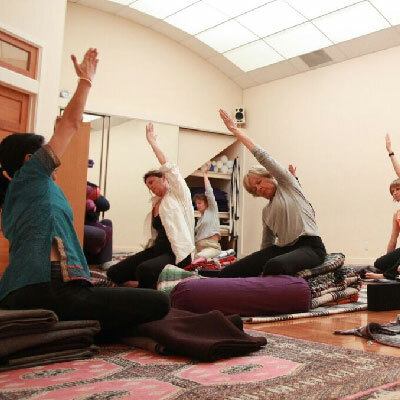 This course was designed for restorative and hands-on Yoga teachers. This is for teachers who tend to have small classes or like to teach therapeutically and find they give a lot of themselves without much money to show for it. Register and you will receive private access to your audio course and workbook as a product download by email.